Having finished a year as Director of Bard CEP, I wanted to start a tradition of a New Year’s report. It is good to start fresh each year, by looking back. During 2010, in the Bard tradition, Bard CEP has accomplished much with little, supporting our mission of leadership education in a world that faces escalating ecological challenges. In 2010, we launched a first-in-the-country M.S. degree in climate science and policy, enrolling eight terrific students in our new degree program. Today’s young people have 30 years to cut global warming emissions and stabilize the climate, and Bard CEP graduates will be uniquely prepared to lead the way. Professor Phillips has been spearheading our new climate degree, which has a focus on the interactions among agriculture, ecosystems and climate. The program features a unique partnership with the Cary Institute of Ecosystem Studies, with IES faculty teaching our students a five-week intensive module on basic ecosystem science. As the climate degree got underway, our environmental policy masters program enrolled seventeen first-year students, who are now deep into their interdisciplinary coursework. The second year students, meanwhile, have been off on challenging internships: working with Nike on shop-floor sustainability in India; on UN-sponsored development projects in Columbia; on brownfield enforcement in California, at major think-tanks in Washington, DC; and on organic food policy in Vermont. In 2010, our alums also received high profile recognition, including appointment to head sustainability efforts at the Rio Olympics, and cover story coverage in Supply Chain Magazine. Alums also participated in jobs panels we organized here at Bard and in neighboring Red Hook. On the faculty side, a key focus of research continues to be on water policy in Oaxaca, Mexico, through our partner INSO. Professor Segarra is writing on the politics of water reform, Dr. Sethi on the economics, and Dr. Ranville, working with Robyn Glenney ’11, is conducting a baseline analysis of water quality in the region. Beyond Oaxaca, Bard CEP faculty are researching, contributing to conferences, and publishing papers across a wide spectrum—from renewable energy, to ocean contamination, to sustainable agriculture, to REDD projects, to Arctic climate change. Bard CEP’s public programs continue to shape the national debate. In 2010, our C2C initiative (Campus-to-Congress) engaged 23 U.S. Senate offices from 14 states, and 100 colleges around the country, in face-to-face dialogue about climate legislation. Last April, for example, Bard CEP organized a conference-call dialogue between top climate and energy staff from the offices of Senators Alexander (R-TN) and Corker (R-TN) and fifty students from six Tennessee colleges and universities. Our twice-monthly National Climate Seminar enables dialogue among leading climate scientists, policy analysts, and economists, our graduate students, and a national audience. See the spring schedule below. Finally, in conjunction with the Levy Economics Institute of Bard College, we announced another first. Beginning in Fall 2012, Bard will offer a “green” MBA – a business degree with a focus on sustainability. Based out of New York City, the Bard MBA is designed for students who want to change the future, offering leadership education focused on building innovative, prosperous, socially responsible and ecologically sound businesses and not-for-profits. These are the emerging organizations that will form the backbone of a just and sustainable global economic system. Sustainable business leaders can harness the creativity and dynamism of the market system to protect and restore the natural world. Bard College has a history of entrepreneurial leadership in higher education. Our new MBA will build on this tradition, creating an important new institution for the College, our region, and the nation. To sum up—it’s been a good year at Bard CEP. I especially want to thank all of you who have welcomed me so warmly to the Hudson Valley. 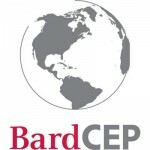 I look forward to working with you to build Bard CEP into a stronger voice for the future in 2011. Eban Goodstein released a jointly authored report on the costs of a melting Arctic at a press conference at the G-7 Finance Ministers meeting in the Arctic Village of Iqaliut, Canada. He also spoke to 1,000 GM employees in Detroit, representing an Advisory group to Chevrolet that is assisting GM with their $40 million clean energy investment initiative. Goodstein’s college textbook, Economics and the Environment was released in its 6th edition by John Wiley and Sons, and Goodstein blogged regularly in Grist on climate change issues. Jennifer Phillips has moved her farm to Clermont, NY, about five miles from Annandale, where she is establishing a new course and research projects on sustainable livestock production. She helped organize the annual conference of the Environmental Consortium of Hudson Valley Colleges and Universities on sustainable food policy, and presented research on greenhouse gas mitigation strategies in the agricultural sector at the American Geophysical Union conference in California. Mara Ranville gave a Distinguished Scientist lecture at Macalaster College, and published research on trace metal contamination in the northern Pacific in the ACE publication Environmental Science and Technology. Ranville also attended a conference in Tblisi, Georgia to deliver a paper on Bard CEP’s approach to climate education. Ranville, along with Segarra and Sethi, travelled to Oaxaca, Mexico to continue research on the science, politics and economics of water quality improvement. Gautam Sethi was honored with two awards this year. The first award, for work on real estate sustainability, from the American Real Estate Society, cited his research with Ben Hoen ’07 and others on the impact of wind turbines on property values. The paper has been accepted for publication in The Journal of Real Estate Research. Sethi received a “most cited paper award” for the period 2005-2010 from The Journal of Economics and Management for his earlier work on “Fishery Management Under Multiple Uncertainty”. Sethi also organized a session on “Payment for Ecosystem Services” at the annual National Council for Science and the Environment conference in Washington, DC. Monique Segarra presented a paper on human rights and the environment at the Latin American Studies Association conference in Toronto. The work is under review for an edited volume to be published by the Woodrow Wilson International Center for Scholars. She also participated in the National Council for Science and the Environment conference session on “Payment for Ecosystem Services”. Kristina Connolly ’10 works in the chemistry department of quality control as a QC Analyst at Regeneron Pharmaceuticals. Emily Fischer ’10 is an Energy Program Associate for Environment America based out of Boston, MA. Matthew Guenther ’10 has been researching how the Cancun Agreements affect Singapore in his new position as energy analyst with the Energy Studies Institute (ESI) at the National University of Singapore (NUS). Victor Pierre Melendez ’10 works as an Environmental Associate and Community Project Leader for Hudson River Sloop Clearwater, Inc. in their Enviornmenal Action department. Kaleena Miller ’10 had the opportunity to take an all expense paid trip to Maldives to play volleyball, where she is also researching their President’s efforts to combat the effects of climate change. Kate Rosenfeld ’08 is now the Senior Director of Government Affairs at DC Legislative and Regulatory Services. Lindsey Lusher Shute ’07 is the Director of State Policy at Transportation Alternatives as well as the Director of the National Young Farmers Coalition. Ben Hoen ’06, who works for the Lawrence Berkeley National Laboratory, coauthered a federal study on the impact of wind farms on property values, which was released by LBNL this past November. Rachel Baker ’05 and her sustainability team at Kaiser Permanente were recognized as sustainable business leaders by Supply & Demand Chain Executive and were a recipient of the 2010 Green Supply Chain Award. Steven Wilcox ’05 is a habitat biologist for the USDA Natural Resources Conservation Service in the Division of Wildlife Resources. Maureen Flores ’04 was recently appointed Sustainability Manager for the 2016 Olympic Games in Brazil. Jon Griesser ’04 and his wife, Sarah, welcomed a daughter, Anya Claire Griesser, into the world on Wednesday, January 5th at 4:59 am. She weighed in at 7 lbs 10 oz, measuring at 20.5 inches. Anya Claire is named for Sarah’s maternal grandmother, Anita, and Jon’s paternal grandmother, Clara. We are grateful to Andrea Soros Colombel ’03-c for hosting our MBA launch conversation, and to Dianne O’Neal ’04-c, for donating the use of her farm for research and teaching purposes. Thank you as well to Clif Bar Foundation, The Trace Foundation, and the Margaret A. Cargill Foundation for their generous financial support for programs and scholarships. Also this year, with the help of alumni Ben Hoen ’06 and Timothy Treadwell ’07, we initiated an Alumni Internship Fund to support our students during their internships. We are grateful to our alumnae for their contributions in 2010. All calls are noon EST. For call-in information, visit www.bard.edu/ncs. Jan. 19: Eban Goodstein, Bard CEP, Time for the American Clean Energy Party? Apr. 13: Majora Carter*, Consultant, Green Jobs – Headed Where?